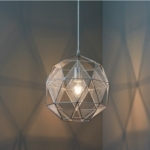 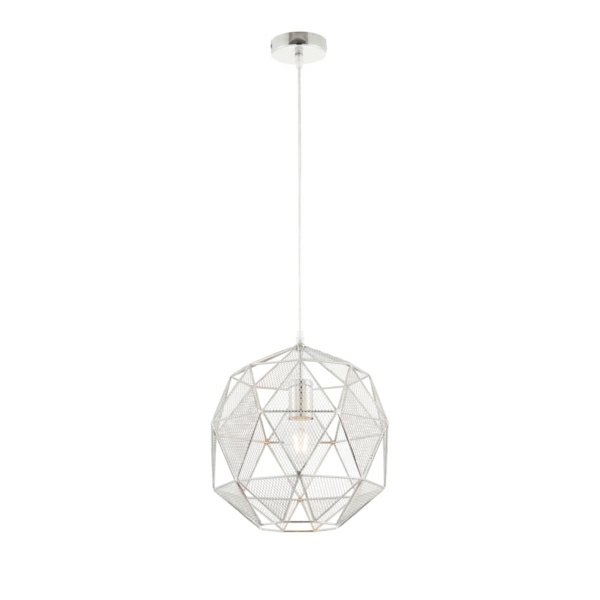 Light Supplier brings you this brand new ceiling pendant from Sycamore Lighting, which is very on trend with the latest styles and trends with its latest styles with its geometric, angular design and chrome finish. 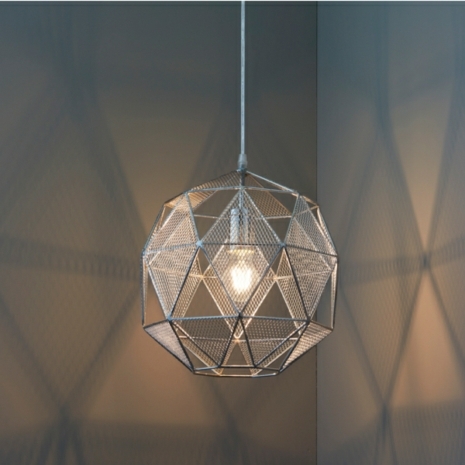 The industrial ceiling pendant is formed from a collection of mesh triangles, with its cut outs enabling you to achieve a stunning lighting effect. 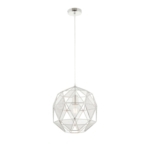 The Hex pendant light fitting will become a stuuning lighting feature above any kitchen island or breakfast bar.